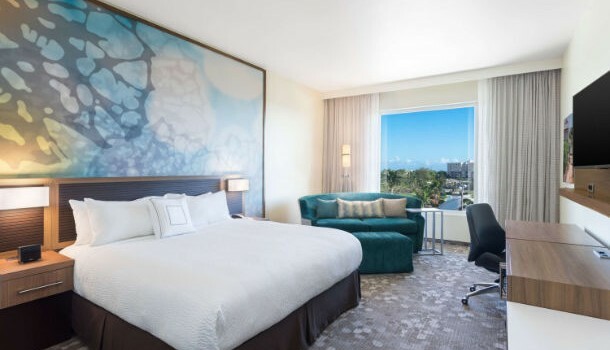 Most people go to the Caribbean for the beaches, but if you would like to have a different experience, you can spend your getaway inside a city in a great hotel. 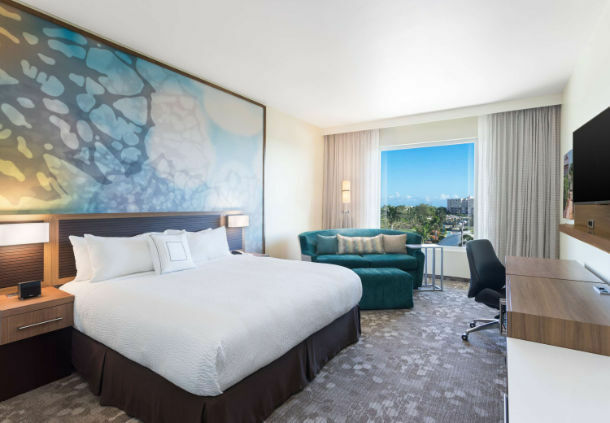 If you choose to stay at the Courtyard Kingston hotel, you can book a room from $202 per night and save as much as 25% compared to average rates on travel through the end of this summer. 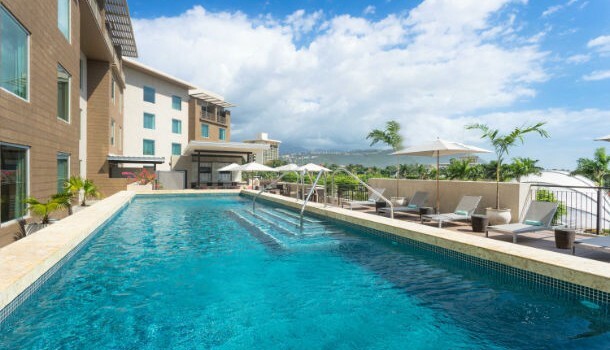 Guests can find the 4 star Marriott hotel on the Park Avenue of Kingston in Jamaica. The Courtyard Kingston hotel is a short walk away from the unique statues of Emancipation park, but the hotel is also close to the Devon House Heritage Site, the Bob Marley Museum and more things to see and do. This is a relatively new hotel on the edge of the New Kingston area that awaits with oversized work desks with ergonomic chair, coffee maker, mini refrigerator, in room safe the size of a laptop, telephone, radio alarm clock, luxurious king or queen beds with plush pillows, air conditioning, flat panel TV with satellite, Internet access and more. Suites at Courtyard Kingston are more spacious and have large windows with great city view. The Centro. – Eat. Drink. Connect. is the on site dining place of Courtyard Kingston. It is open for breakfast, lunch and dinner as well and the dress code is casual. They serve local and international dishes as well as fresh Jamaican coffee and tasty cocktails. You can also have lunch or a drink at the pool bar. Towels are provided to each guest at the outdoor pool of the hotel. 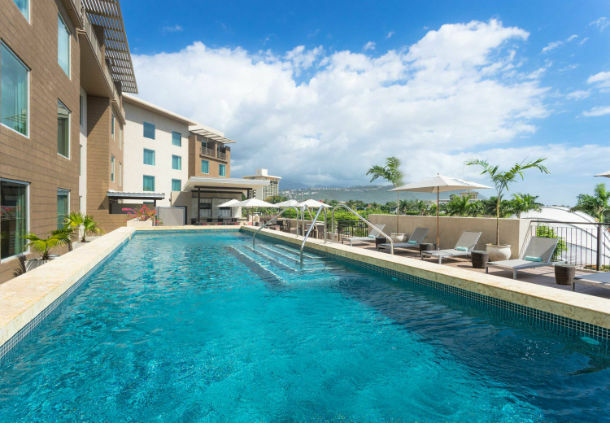 However, those who want to stay fit during their Kingston getaway can work out with the weights and cardio equipment of the fitness center at Courtyard Kingston. There are also three event rooms and a total of nearly 2,000 square feet of meeting space for your business meetings and different social events, even weddings. Choose 3 or 4 of the most trusted sites from the box to make sure you get the best hotel for the lowest price, enter check in and check out dates and hit the compare button. 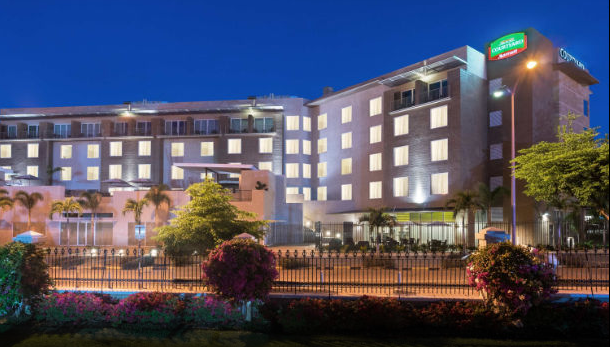 After a one minute research you can choose from dozens of Kingston hotels on sale and decide which one is best for your budget.